Although jukebox musicals showcasing songwriters' catalogs are preponderant on the Great White Way - look no further than the currently running BEAUTIFUL: THE CAROLE KING MUSICAL, SUMMER: THE DONNA SUMMER MUSICAL, The Go-Go's HEAD OVER HEELS and THE CHER SHOW for proof of that - they have not set Hollywood alight in the same manner; at least not until now. Strangely, original movie musicals utilizing the songstacks of some of the biggest artists in music history have generally failed to catch on with audiences in the 21st century. Indeed, for every MAMMA MIA!-sized smash hit there are several box office duds, such as Bob Dylan tuner I'M NOT THERE, Cole Porter revue DE-LOVELY and The Beatles phantasmagoria ACROSS THE UNIVERSE. Even the big screen version of the Tony Award-winning jukebox biomusical that kicked off the trend on Broadway, Frankie Valli & The Four Seasons showcase JERSEY BOYS, was relatively DOA when it hit cinemas a few years ago. But, thankfully, that trend seems to be coming to an end. 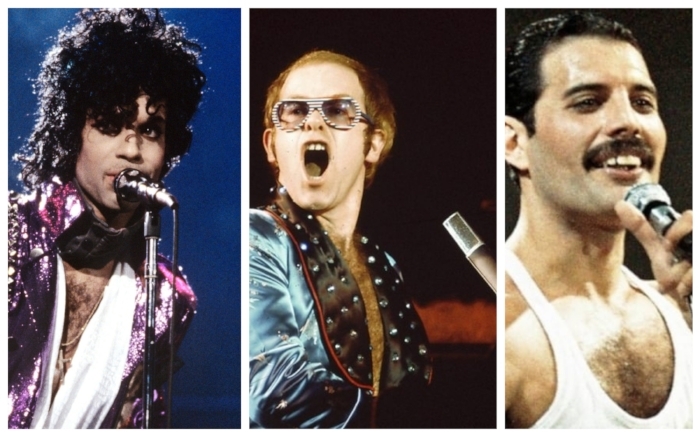 With Queen tribute BOHEMIAN RHAPSODY packing them in around the world to the tune of more than $500 million already in its first month of release, now the most successful musical biopic in Hollywood history, two brand new explorations of music royalty loom on the horizon, beginning next year. First up, ROCKETMAN will be the long-gestating realization of Elton John's revered back catalog, helmed by BOHEMIAN RHAPSODY co-director Dexter Fletcher and starring Taron Egerton as John himself alongside Jamie Bell, Richard Madden and Bryce Dallas Howard. The film is scheduled for release on May 31, 2019. Additionally, this week it was announced that Universal Pictures has acquired the rights to Prince's iconic oeuvre, with an original movie musical being rushed into development to capitalize on the biomusical fever begun by BOHEMIAN RHAPSODY. Undoubtedly, there will be many more such announcements of other projects in the coming weeks as the smash hit status of the Queen biopic increases by the hour. While it is a treacherously difficult genre to pull off, when enacted with style, grace and ingenuity, the biomusical has the potential to be one of the most entertaining and engrossing forms of storytelling of them all, rocking audiences and critics alike. Hopefully, the Elton John and Prince vehicles will echo the success of BOHEMIAN RHAPSODY and rocket to the top of the box office, too.